Internet access and wireless is coming soon! Alamogordo Community Calendar. New Mexico Tourism. Hatch Chili Festival, Festivals and Fairs. Many consider Cesario Duran to be the father if Tularosa. 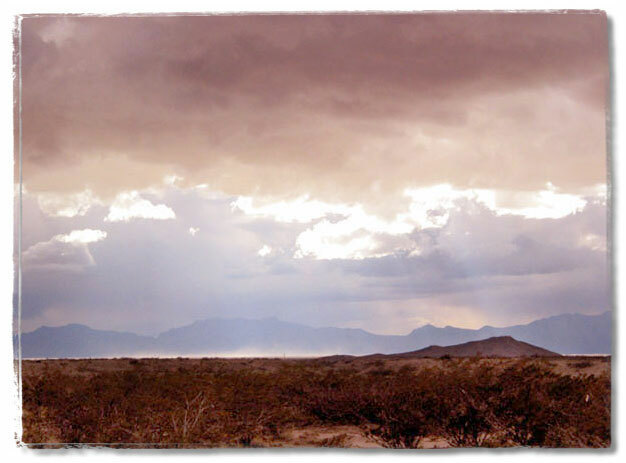 In 1862 his community along the El Camino Real near Mesilla was devastated by a flooding Rio Grande. 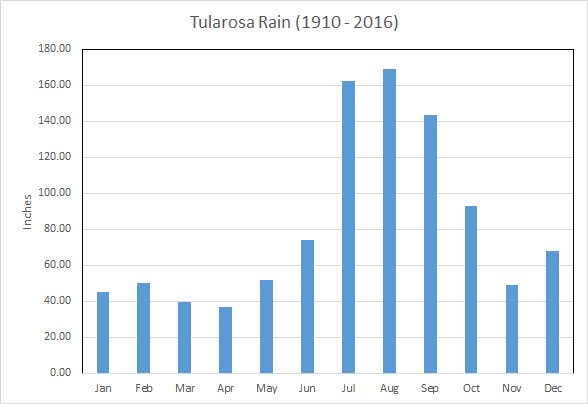 Cesario convinced his neighbors that they should move as a group to the mouth of Tularosa canyon - the present day Village of Tularosa. Cesario was elected as Tularosa's first mayor and his friend José Candellario was appointed as Tularosa's first sheriff. 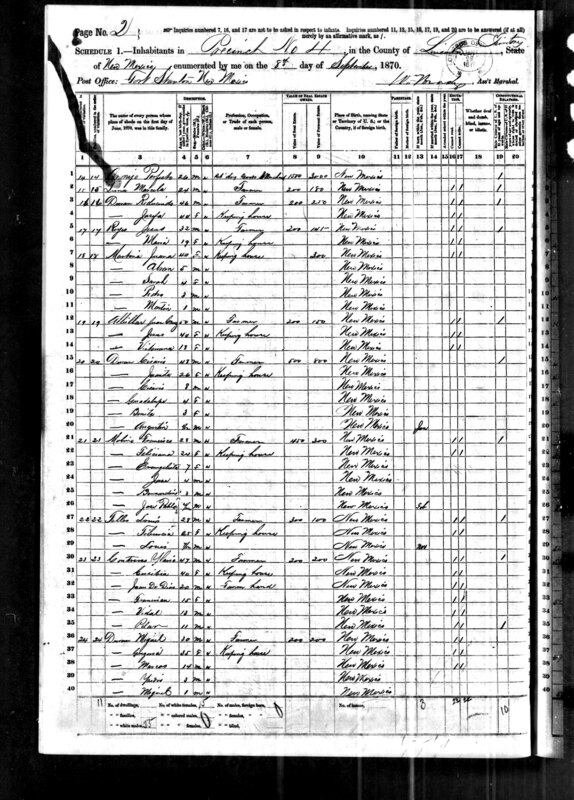 Duran family in the 1870 Census. 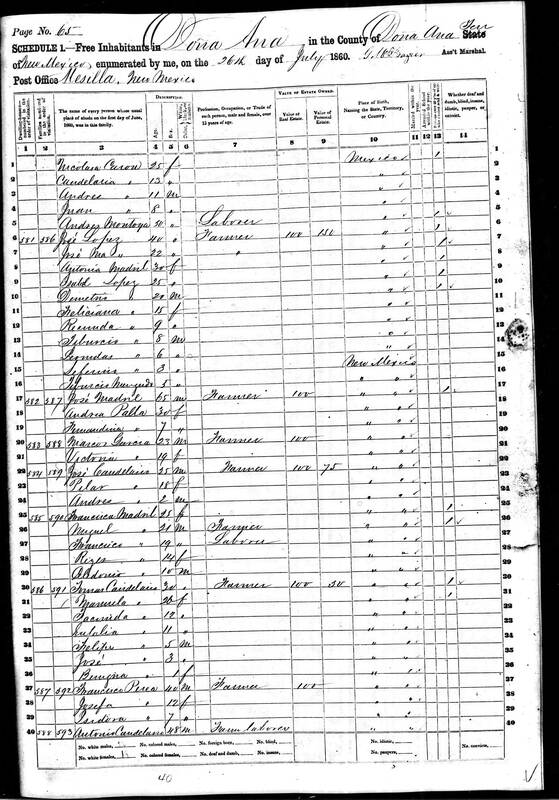 José Candellario family in the 1860 Census. The top stage actress of the mid-20th century was born as Patricia Beth Reid in an adobe house in Tularosa on February 11, 1925. She starred in 11 Broadway plays between 1951 and 1964 including Bus Stop, The Three Sisters and Cat on a Hot Tin Roof. She was nominated for an Oscar for her roles in the Séance on a Wet Afternoon and Frances. Jan Clayton starred on broadway as Julie Jordan in Carousel and also as Magnolia in the 1946 revival of Show Boat. From 1954-1957 she played the original role as the mother in the TV drama Lassie. She appeared in dozens of television shows including Wagon Train, Gunsmoke, and even an episode of Love Boat in 1981. Jan Clayton was born in Tularosa on August 26, 1917. She grew up in Tularosa and appears in the 1930 Otero County census at Jane B. Clayton, age 12. She died on August 28, 1983 in West Hollywood. 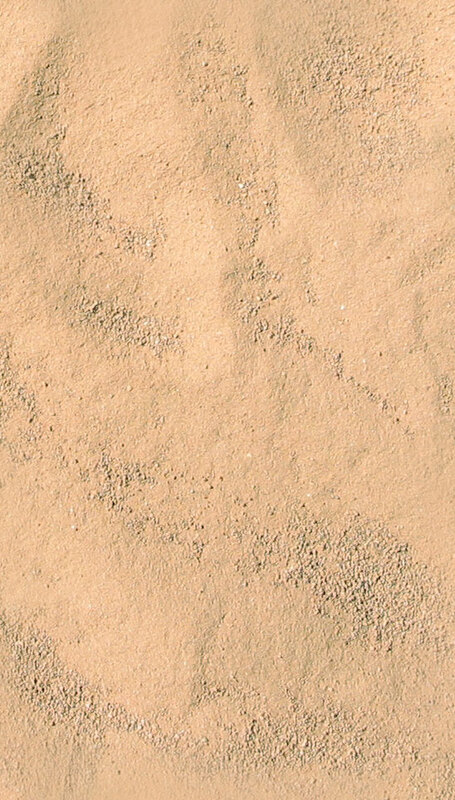 She is buried in Tularosa's Fairview Cemetery. La Casa Rosa - where 3500 hand made adobes surround Spanish colonial furniture, woodworking, punched tin, weaving and retablo painting. 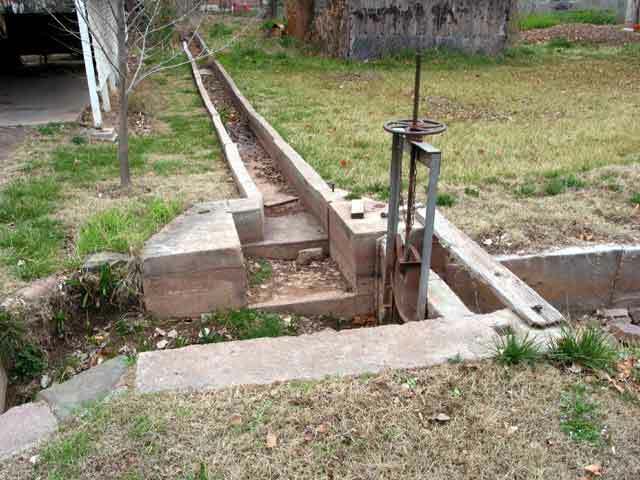 You can find it at 901 St. Francis Dr. in Tularosa. View a sort slide show. 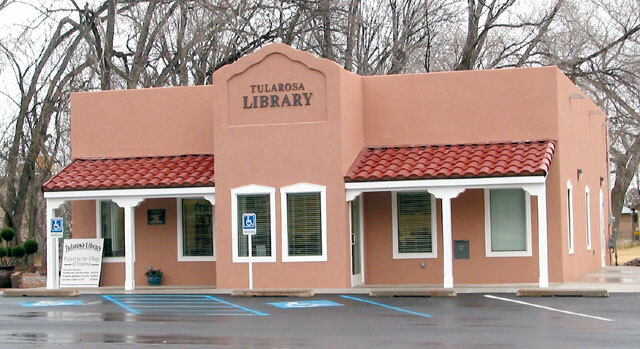 For more information contact Cynthia Duran Prelo-Riedlinger, (575) 491-4275, cprtular@tularosa.net. 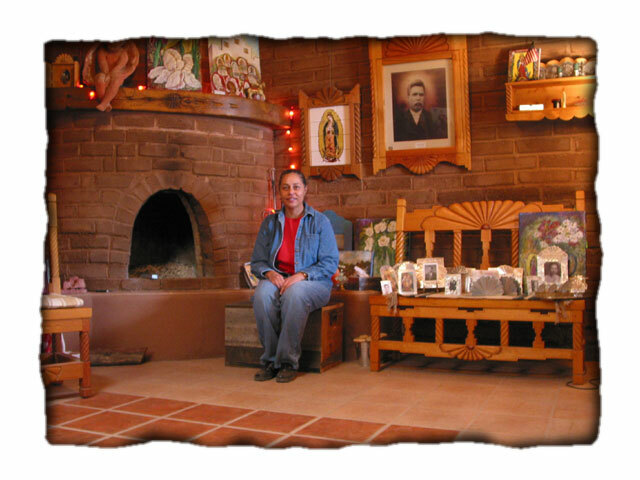 Read an article about La Casa Rosa that was published in the Spring 2003 issue of Su Casa Magazine. Cynthia also gives tours of Tularosa and the great-great-great grand daughter of Tularosa's first Alcalde, Cisario Duran, knows Tularosa. 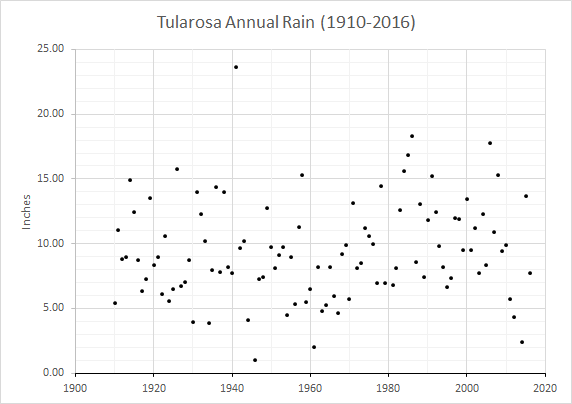 What does 100 years of weather data tell us about the climate of the Tularosa?